Join your hosts Joe Christopher and Kari Race as they discuss all the outrageous hits from the 80's! Which songs still hold up today, and which songs should be left in the 80's? We'll cover all the well-known hits from the decade (Ghostbusters, anyone? ), and even songs that you haven't heard in 30 years (paging Karla Bonoff). Dust off your Members Only jacket and join us for segments like "Trash or Treasure" and "Songs That Time Forgot!" Chime in on Twitter @hrt80s or on Facebook. Joe and Kari are back, baby!! First, you'll get some poll results from the FB and Twitter pages. Has Kari been wrong her whole life, is David Lee Roth a lovable treasure? Or will she finally be on the right side of history? // Joe and Kari go "Back in Time" -- to April 15, 1989, to be exact, to dissect the top ten songs on the Billboard Chart. Milli Vanilli, Tone Loc, and Poison make appearances. But don't worry, there are also some musicians that your hosts actually enjoy. // Have you been fiending for some more Songs That Time Forgot? Get your fix with a Comeback Queen and a Synth Duo!! Episode 7 begins with updates from your hosts Joe and Kari. Where does "She Blinded Me With Science" land on the Trash or Treasure scale? Will Kari ever win? The Main Event -- Who was Teen Queen of the 80's? Girl next door Debbie Gibson or chain-smoking mallrat Tiffany? There was actually much more going on behind the scenes that you might not know about? Finally, our favorite segment: Songs That Time Forgot. Kari picks a song from a member of Fleetwood Mac (hint: not Stevie or Lindsay), while Joe picks a forgotten gem straight out of the Quiet Storm. Episode 6: Joe and Kari begin by giving you updates on the recent polls: Favorite Paul of the 80's, Valley Girl vs. Girls Just Want to Have Fun, and QUEEN OF THE 80's. Then Kari gives an update that is so totally 90's that we almost had to change the name of the podcast!! Next up is Trash or Treasure, where your hosts debate the musical merits of David Lee Roth. Did Van Halen do the right thing by giving him the boot? Make sure to voice your opinion on Twitter (unless your name is Sammy Hagar, then you're not allowed to vote). Special Report: Is your favorite 80's song a COVER!? Joe and Kari discuss some big 80's hits that had past lives as 60's and 70's tunes. Then they put their thing down flip it and reverse it and discuss some recent cover versions of beloved 80's tunes. Episode 5: Kari and Joe give you all the updates you need!! And guess what!? Your favorite segment is back! It's time to decide -- is "She Blinded Me With Science" trash or treasure?? You may discover some new facts about this 80's "gem." File this next segment under "It's a Dirty Job, But Someone's Got to Do It" ... Joe and Kari discuss those actors from the 80's that thought it would be a good idea to release "music" at the height of their popularity. Were any of these actors talented, or was this just a case of too many Yes Men and too much cocaine? Finally, Kari tells Joe a story that she's been teasing for months. It's a love story that will Take Your Breath Away, and leave you with No More Words. The Metro. Episode 4: Joe and Kari welcome listeners and give a bit of news about the podcast. Then it's time to get the results from our inaugural "Trash or Treasure" segment. Does "Missing You" by John Waite enter the Hall of Fame? Or will it be fitted for cement shoes? And I hope you're sitting down, because Joe and Kari throw down the gauntlet and decide it's time to crown a QUEEN OF THE 80'S! (4:23) // Sorry, Stacey Q -- no ONE HIT WONDERS here! Joe and Kari discuss the cream of the crop. Who has what it takes?? Don't forget to cast your vote online! Finally, it's time for our favorite segment "Songs That Time Forgot" (35:15) as we listen to some obscure hits from a beloved 80's movie and an even more beloved singer-songwriter. Episode 3! // (0:00) Kari and Joe say thanks to some special peeps that helped and give you a bit of news about all things HRT80s (that's Hey, Remember the 80's? to you newbies) (3:26) Joe gives an update to one of our picks for "Songs that Time Forgot" so make sure you've watched the video for Steel Breeze's "You Don't Want Me Anymore." (6:00) Your favorite song might have been performed by a man named Paul, and you didn't even know it! We take a deep dive into all those Pauls, and yes, there WILL be a quiz!! (19:00) Time for a new segment called "Leave it in the 80's." It's not that these songs are bad necessarily...they just should never have been made in the first place. It will all make sense when you listen. (28:12) Kari has a special message for Joe. Episode 2: Joe and Kari discuss the BIG HITS of the 80's! What was the number one song of 1980? 1981? 82? You get the picture. Do these songs hold up? Do they deserve the crown? Or perhaps the number TWO song of year should be the rightful victor? Did the American record-buying public get it right? 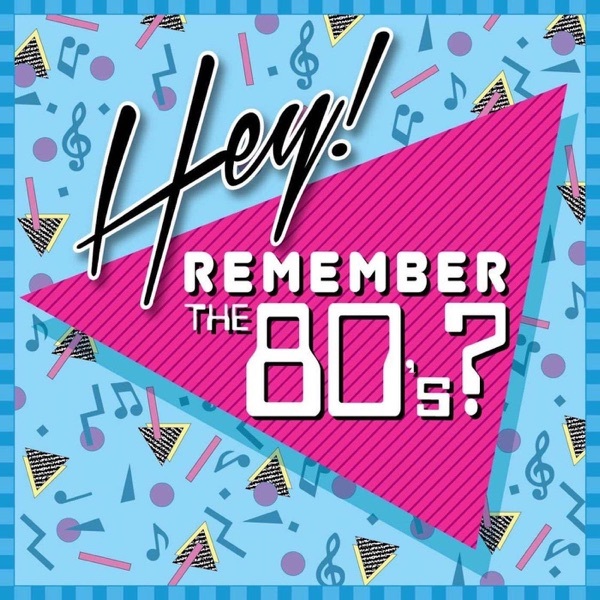 Then, get ready for "Songs that Time Forgot"(30:26) as Kari and Joe offer up some songs that you may have missed in the 80's (or perhaps you weren't born yet, we don't know your life). Episode 1 / (0:00) Joe and Kari introduce themselves and explain how in the heck they became OBSESSED with 80's music! (9:32) The duo reveal their Top 5 80's songs of all time to give you an idea of where they land in terms of 80's faves // (26:21) They can't all be Ghostbusters! Joe and Kari discuss a couple of Obscure-ish 80's Gems // (33:05)John Waite's "Missing You" - is it Trash or Treasure? Joe and Kari take sides, and a friendship is tested! !